The attributes of long range clubs can be combined into what is known as a hybrid club. 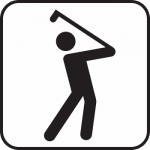 This usually combines characteristics of both a fairway and an iron, according to GolfWeek.com. 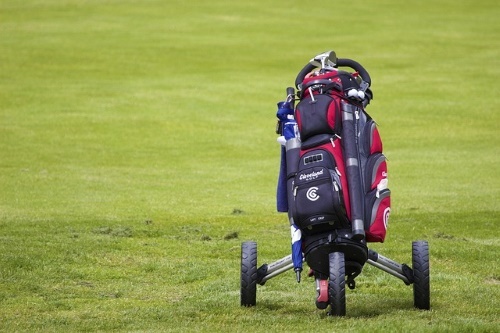 This means that you don’t need to carry as many clubs as you otherwise would, if you add a hybrid to your collection. Of course, you can simply use all the same clubs you had before and make the hybrid an additional part of your selections, so long as you keep your total of clubs to 14 or less. Now, let’s look at the top five hybrid clubs available today. We hope one of them is exactly what you are looking for. The most popular hybrid club is also one of the very best. Pinemeadow has created a hybrid club that’s a joy to use, thanks to its range of loft angles, graphite shaft and solid grip. It’s also reasonably priced, so it should not cost you much to replace your current iron or fairway for something that works a bit better. The grip is oversized, though, and you may want to replace it if it is not a good fit for your hands. Lots of angle options to pick from. Great for improving your distance and height. Oversized grip may not be comfortable for everyone. 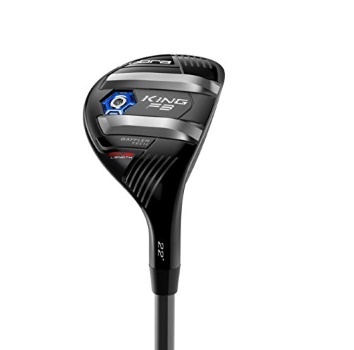 While this is a great hybrid club with a comfortable grip, durable construction and a decent flex that ensures it is easy to hit with, it is very expensive. You’ll pay almost 10 times as much for this club as you will for some of the competition. One the plus side, it does last longer and isn’t going to dent after the first few hits like most of the competition, but even with its durability, it is still a limited club that isn’t going to be right for everyone. In fact, it only comes in few different angle variations, so you may have some trouble finding one that this a good fit for you. Only a few different angle options. This is another high end hybrid club, and Cobra makes their products to last and last, so you will get your money’s worth out of it. It comes in a few loft varieties, but you may not find the perfect one for your needs. It does offer several different flex options, though, which is more than many club manufacturers provide for their hybrid clubs. This stainless steel club is thin and lightweight, but incredibly strong. Made to be super durable. Comes in a few flex variations. Not many loft options to pick from. This graphite shaft is offered in some different flex options. You can choose from stiff or flexible shafts to find the perfect shaft for your needs. The price is nice, but no head cover is included. Also, since it is not very pricey, you can’t expect it to hold up to a lot of abuse, and it may dent after a few games, but it should still hit just fine. Don’t think you are losing out just because you don’t have to pay much for it, though. Integra has made a club that is very easy to hit with, so expect your accuracy to improve when you replace your iron or fairway with this club. Great price ensures lots of value. Expect to pay quite a bit for this Callaway hybrid. It’s one of the more well-rounded hybrids, made from graphite and offered in a few flex options. The loft selection is pretty diverse, so you should be able to find one that is a good fit for you. 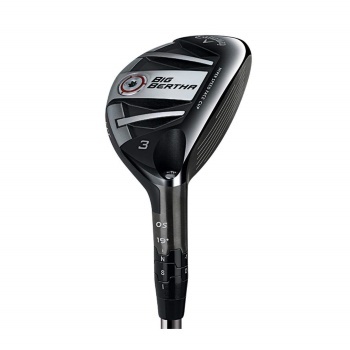 The large face lets you hit the ball fast and easily, improving your accuracy and ensuring fewer slices and mis-hits. Easy to hit the ball with. Offers plenty of options for most people. Kind of pricey, comparatively speaking. 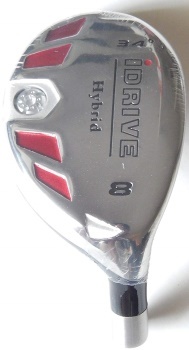 The hybrid club can be very useful for golfers who have struggled with various irons in the past. You can use the hybrid club to replace one or more of the irons you normally use. It can be used as a replacement for the two-iron, three-iron or four-iron. Many golfers find that the hybrid is easier to hit with, and that’s honestly the best reason to switch to this type of club. If you are doing just find with the regular irons, then you won’t need to switch one out with the hybrid, unless you just want to try the hybrid and see how it works for you. It’s a big help to those who have had some trouble getting their shots where they want them to go when they use one of the various irons, though. If you find the right hybrid, you will hit more accurately, you will reduce your frustration while playing, and you will hit the balls easier. 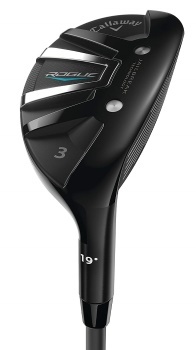 You’ll also be able to get the loft you want out of the ball, if you’ve found the right hybrid for your play style. 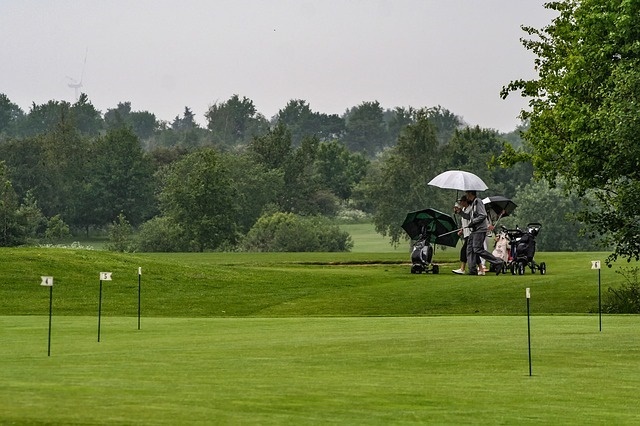 Loft– One of the reasons you may be switching to a different golf club is because you are not getting the ball as high in the air or hitting it as far as you would like. You can fix that problem by purchasing a hybrid club with better loft, and Golf Digest recommends that you compensate for a lack of speed with some extra loft. If you know what your weaknesses are, then you can choose a hybrid that plays to your strengths and helps you hit on target more often. Price– Hybrid clubs do not need to cost a lot more than a conventional fairway or iron. Just because they are replacing sometimes two clubs and making the game easier for you, that does not mean that they need to a pricier option. You can get hybrid clubs that are decent for about the same price as any iron or fairway, so don’t be fooled into thinking that you need a pricey hybrid. Grip– One important aspect of any decent hybrid is the grip. You’ll not be able to hit the ball with much accuracy if your grip keeps slipping. You’ll also have a lot of frustrations and discomfort if the grip isn’t a good fit. If at all possible, try the club before you buy, but if you can’t, then take time to read the reviews and see what other golfers have to say about the grip. Lie Angle– One of the overlooked factors that contribute to how well a hybrid will hit for you is the lie angle, and the PGA recommends that you consider the way you hit and how you deal with solid hits when you are choosing a hybrid with a certain lie angle. Steel Shaft– In most cases, you don’t want a steel shaft. It will be harder to hit accurately with, and buying a hybrid means you are looking for something that hits easier for you. Your handicap and the preferences will determine whether you want to go with a graphite or steel shaft, but in most cases, we would recommend the graphite shaft for better results. Buying the Wrong Angle– You need to pick a loft angle that matches that of the club you are replacing. If you are trying to replace a 3-wood, says Golf Pro Strategies, then you should get a hybrid with a 14-16 degree angle. This will give you a comparable angle that lets you hit the ball better without as much trouble. Not Trying First– If you have the option to, you should try before you buy. You want to be sure that you are getting a hybrid that will work for you. You can do your research online and find out what club will be a good fit for you, but once you get it out on the course, it can be a different story. Sticking with a Bad Fit– You might not get a good hybrid club on your first attempt. It may be too hard to hit with or simply not work well for your style of play. If that’s the case, then don’t feel bad about trading it in for something else. Many times, it is not your skill that’s lacking, but rather that the club is simply not a good fit for the way you play. A hybrid club can really change up your game, and we hope that this article helps you to find the best hybrid golf clubs for you. There are a lot of good choices out there, and some not so good ones as well, and you can use this guide to sort through what is available to find the right hybrid for your game.